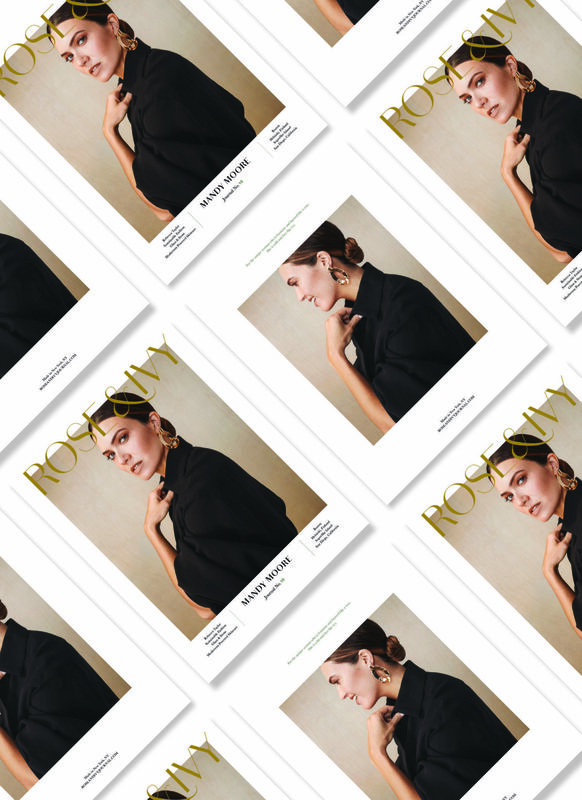 Introducing ROSE & IVY Journal No.10 starring Mandy Moore in ‘Magnificent Mandy.’ The multi-hyphenate actress, singer, songwriter, producer and star of This is Us talks about the power of preserving and believing until magic happens. Style Notes: Desert inspired accessories | Paravel’s Indré Rockefeller | A conversation with designer Rebecca Taylor | How to accessorize with celebrity stylist and newly minted author, Micaela Erlanger | Sweaters for the new season ahead and more. Beauty Notes: Mushroom laced skincare | new launches on our radar | A conversation with Circumference founder, Jina Kim | The best face soaps | Magical matcha and more. Inspired Living: Glass and stone pairings | Bombay Bread Bar | Rebecca Atwood on how to make the perfect bed | A culinary tour in Boston with award-winning Chef Barbara Lynch and more. The Stories: A heart-to-heart with Mandy Moore on her beginnings and the power of believing | Escape to SuperShe Island in Finland’s archipelago | 24 hours in Helsinki, a travel guide | Garden designer Peter Bevacqua opens his upstate New York garden | Sustainable fashion | A guide to San Diego and more.